Location is one of the significant factors people consider when visiting a place. As much as possible, we want it to be convenient and easy to find because a few may not mind the egg hunt, but many would find it troublesome. 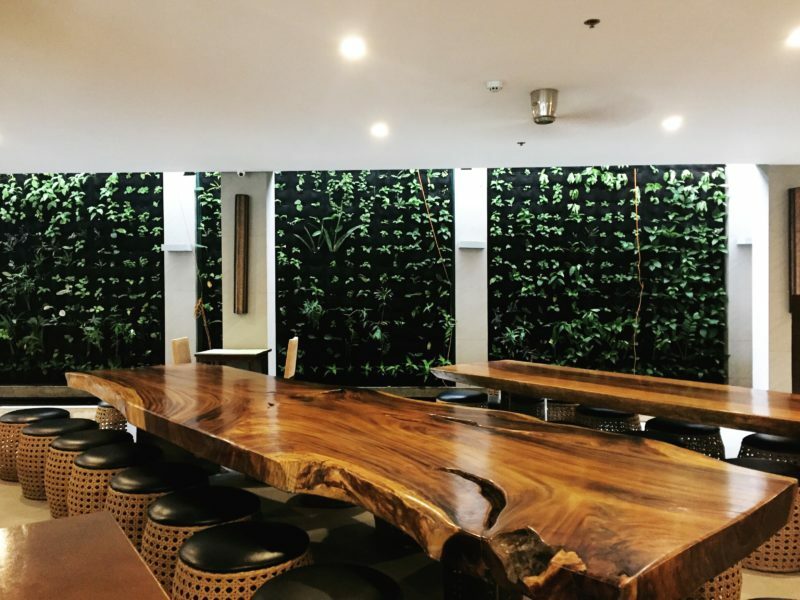 However, there are some things in life that are worth the trouble like this boutique hotel in the heart of Pasay city called, The Selah Garden Hotel. Outside the hotel, the surrounding isn’t all too pleasing but inside there is an urban oasis. And those who will be able to find it is in for a wonderful surprise. Formerly known as Selah Garden Suites, the hotel was established in 2014 and will soon have its official launch on the 31st of January. Selah is a Hebrew word, mentioned many times in the bible. Although the meaning of the word is not known, there are various interpretations to its definition such as stop and listen, pause, and think of that, or a break in a song. I have basically seen it from the ground up as I happen to be good friends with its Marketing Manager, Che Tolosa. I would pay her a visit, stay in her room, hang out, and watch the construction workers bent at work in building this garden-themed boutique hotel. It’s one of the reasons Selah is special to me because I saw it when it was all just rough fragments of wood, stone, brick, and concrete. 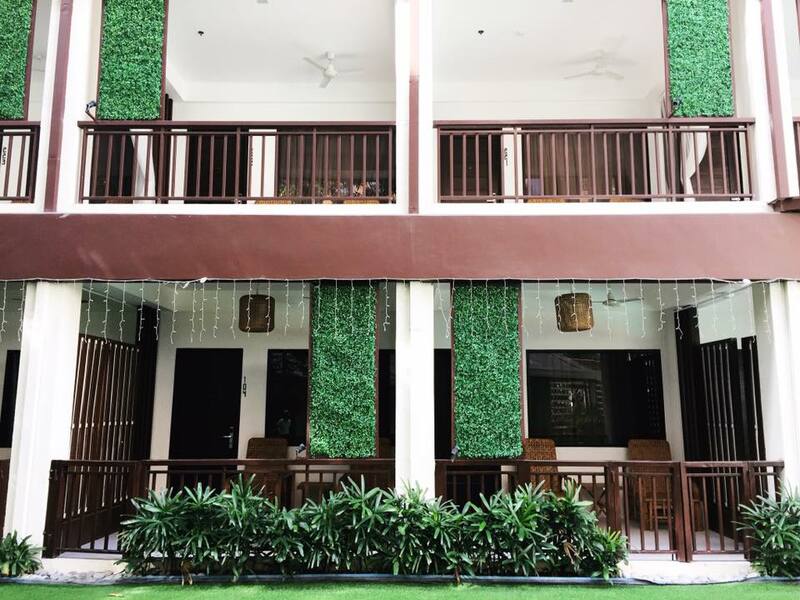 I submitted a proposal to my friend to allow me and my blogger friends to stay in their hotel in exchange for blog review; thankfully, she agreed. 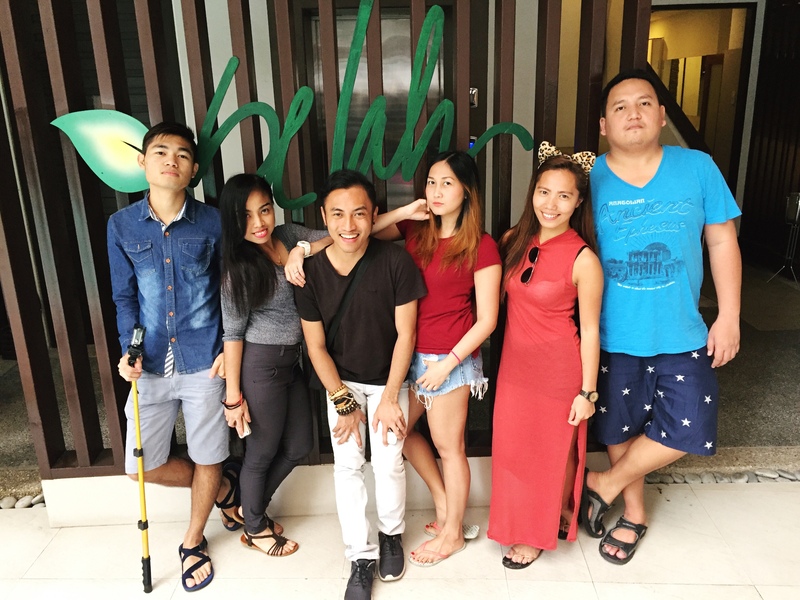 And so 5 bloggers; Aldrick (Turista Boy), Jonathan (Jon to the World), Jerny (The Jerny Travel and Inspirations), Cathy (Escapes and Diaries), and Mary Jane (Travel, History, and Culture) joined me in an overnight stay at Selah last weekend. 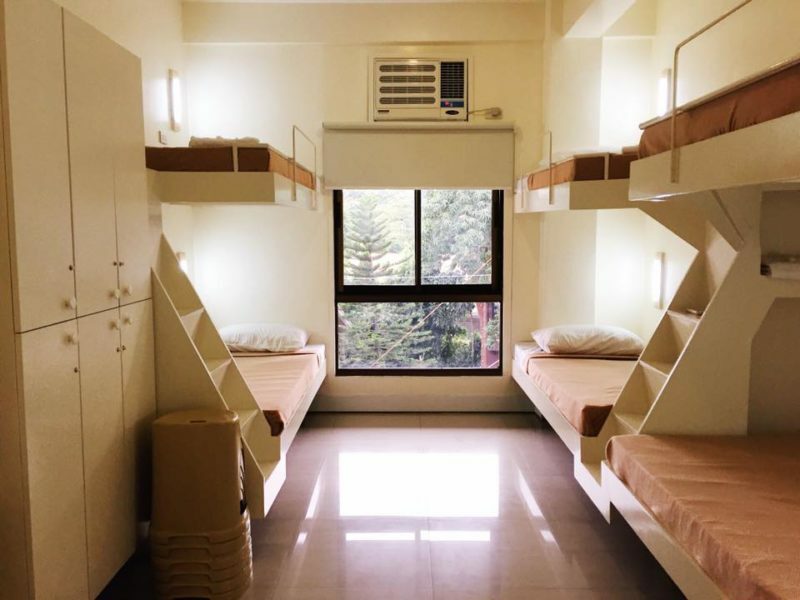 We were divided into 3 groups and billeted in three separate Flagship Room (triple). 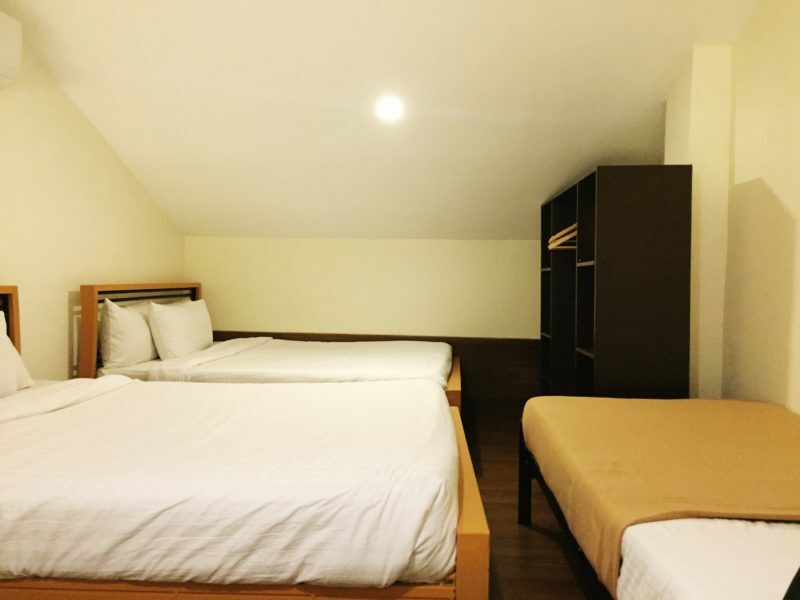 This room can accommodate 2 to 3 pax and goes for PHP 3,650 (USD 72.96) per night. 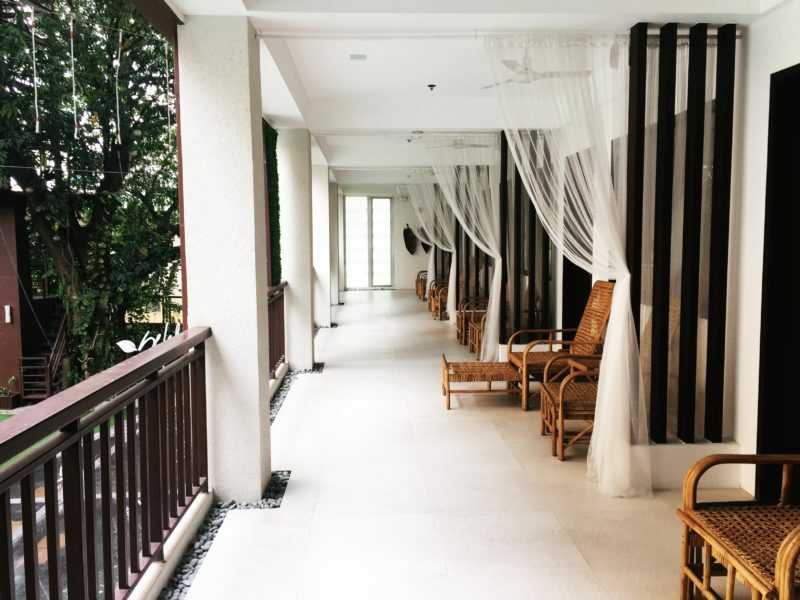 Selah offers excellent amenities, such as its in-house restaurant called Tabla, an infinity pool, a gazebo which guests can reserve for special dining occasion, function rooms to hold events, as well as a spa called, Spa by Selah. 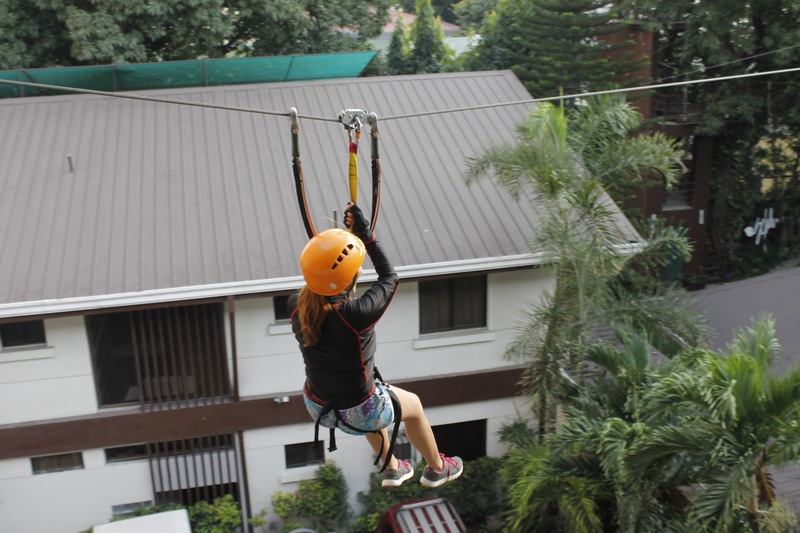 But if there is one unique feature that sets Selah apart, it’s their tree-top adventure facilities that are quite ideal for team-building activities. And this we were able to try. We started with the wall climbing. After we geared up, we went one by one, myself being the first person in our group to give it a go. I was pretty confident that I’d be able to do it and ended up to be the only person who sucked at it. I didn’t get myself up there really, I tried and struggled, my arms hurt and strained but didn’t have the strength to hoist myself up. I remember doing a little bit of rock climbing on Matukad island in Caramoan sans any equipment. I was able to do it then, why the hell was I not able to do it now and to think this time I had harness. It was oh so frustrating. I’m not sure how long did I lie to myself that I could do it before I decided to give up. Jerny, Aldrick, and Cathy on the other hand did it with ease. Never in my life have I felt so weak until that moment. The next activity was a zipline, which by the way is my most favorite just because it was awesome to feel like I was flying up in the air. After this, we had to cross over the net and wires that were suspended several feet off the ground. It was nerve wracking especially for people like me with fear of heights, nevertheless it was a lot of fun. I wasn’t able to finish the course though because I couldn’t cross one wire as it wobbled under my feet. The activity ended on a free fall, which I skipped because I imagined it would be like a tree-drop activity but nope, I watched my friends being dropped from the top of the climbing wall in a speed better suited for rappelling. I’d like to do the adventures all over again next time just to finish the entire challenge. That’s not all, another activity that Selah offers is discovery diving course care of Dive Raid. There is a 10-ft section in the swimming pool just for this activity. But let me hold off to that story for now because I truly believe the experience was so awesome, it deserves a standalone article. 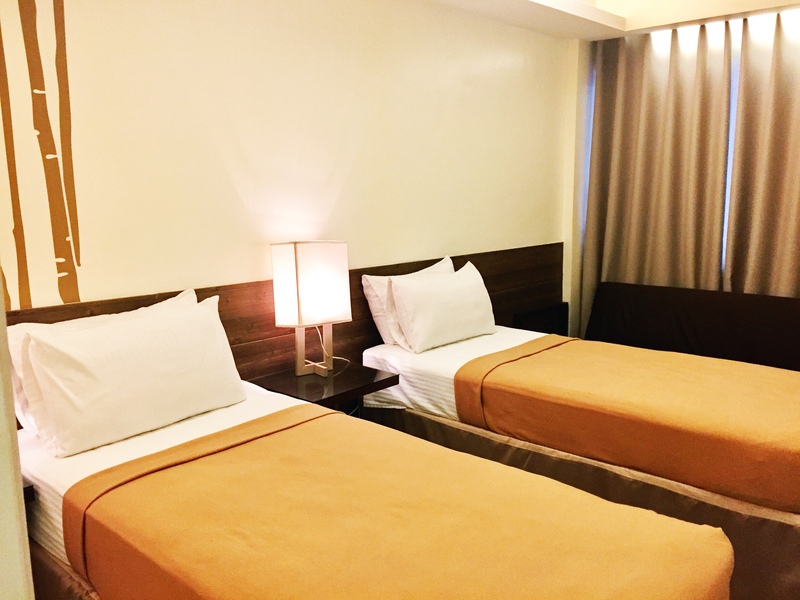 Aside from the fact that they offer reasonable rate for their rooms and adventures that guests can surely enjoy, Selah Garden Hotel is accessible to major roads, such as Edsa, Roxas Boulevard, and Macapagal Ave. 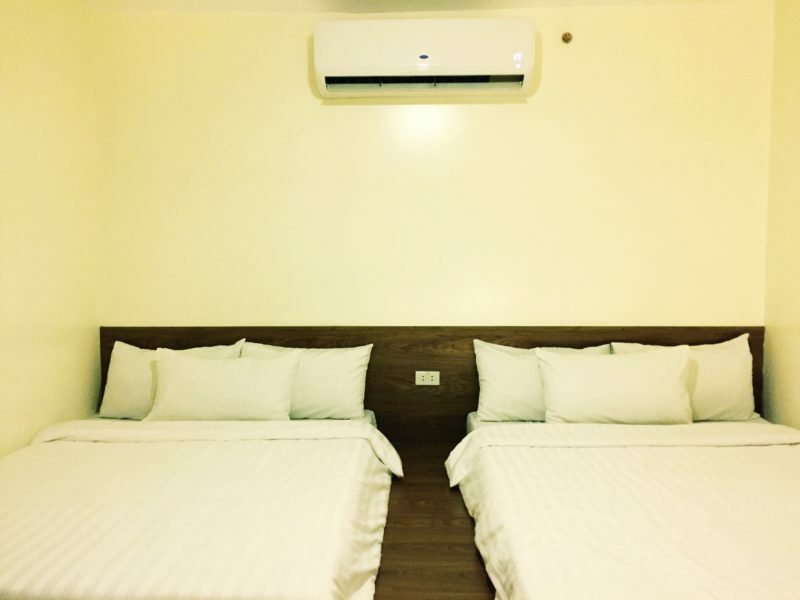 It is also in close proximity with the SM Mall of Asia and big casino hotels, and is only 10 minutes away from Ninoy Aquino International Airport. Also, all rates are inclusive of complimentary breakfast. Most of all, the staff of Selah are very nice and helpful. They always greet their guests with a smile and when you ask something from the front desk, they’d be in your door in no time. Additional card key: They only give one card key per room. In most hotels that I’d been, at least 2 card keys are given. I hope that the management would consider adding another one especially if there are more than 1 person occupying the room. 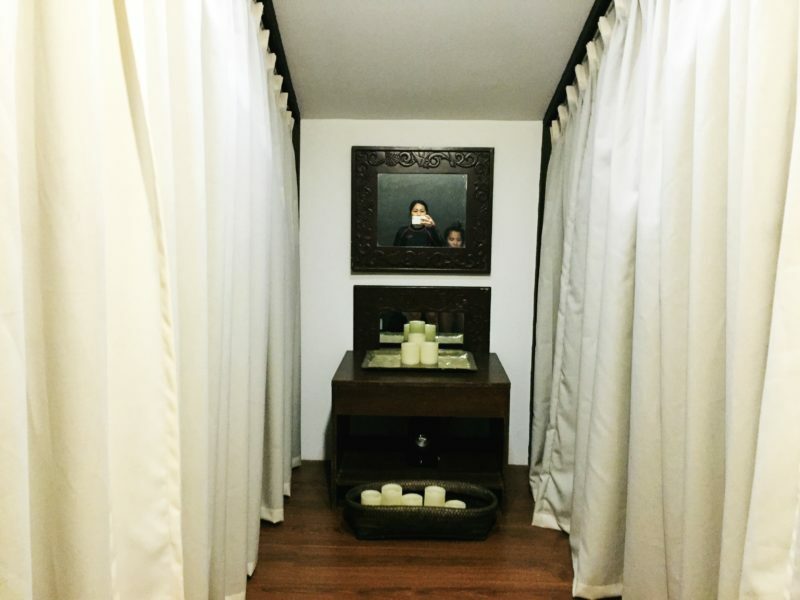 In-house massage therapists: Currently, Spa by Selah doesn’t have in-house massage therapists. The good news is, there are already plans to hire their own therapists. Leaking pipes: In our room the bidet is leaking, but this is more an issue of maintenance and I think this can be easily addressed. Menu: I also hope they will add more food in their menu. Che said that they just hired a new chef so I think this will be taken care of soon. 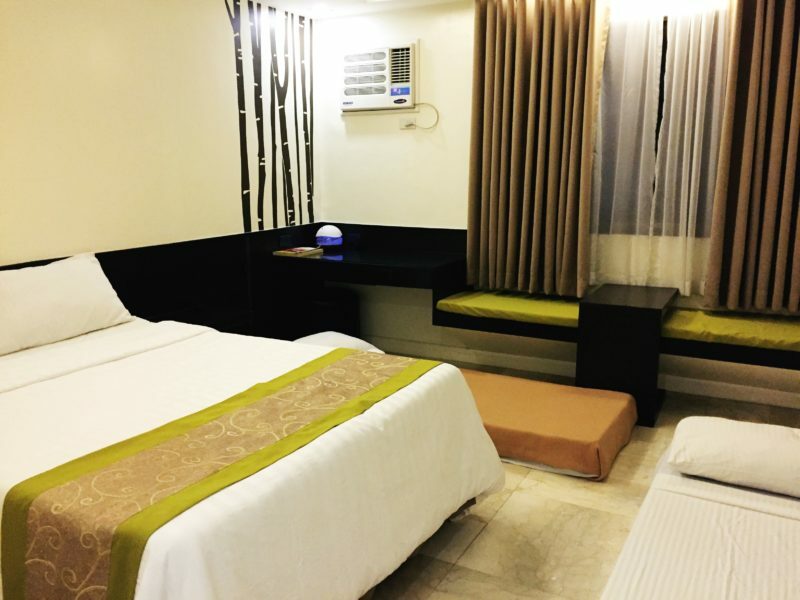 This hotel stay is sponsored by Selah Garden Hotel, review and opinion are my own. A few photos were taken by Aldrick Agpaoa. Very cool to read this post! It looks like paradise, but not in a sleepy kind of way. It’s adventurous as well, so it’s totally my cup of tea! I’m not really a pool-type person! I really like there SCUBA diving lessons. I was just surprised that you can have such right in the middle of the city! (How cool is that, right?) 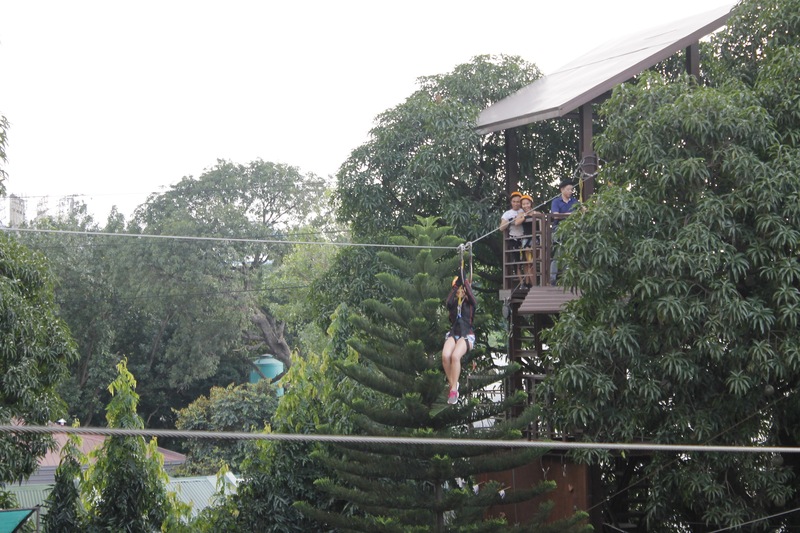 I also enjoyed their treetop adventure facilities! 🙂 I would love to go back there soon! P.S. : Too bad I haven’t made it to their launching last January 31. What an impressive read! First of all, I love that you added the exchange rate in US-dollar to the prices, that makes the information such reviews as yours give just perfectly complete. Well, I probably wouldn’t be climbing or hanging over the balconies, (joking) although that is very unique, I never saw that before. It looks like good fun. The hotel seems to be very nice and clean, I wouldn’t mind staying in there. 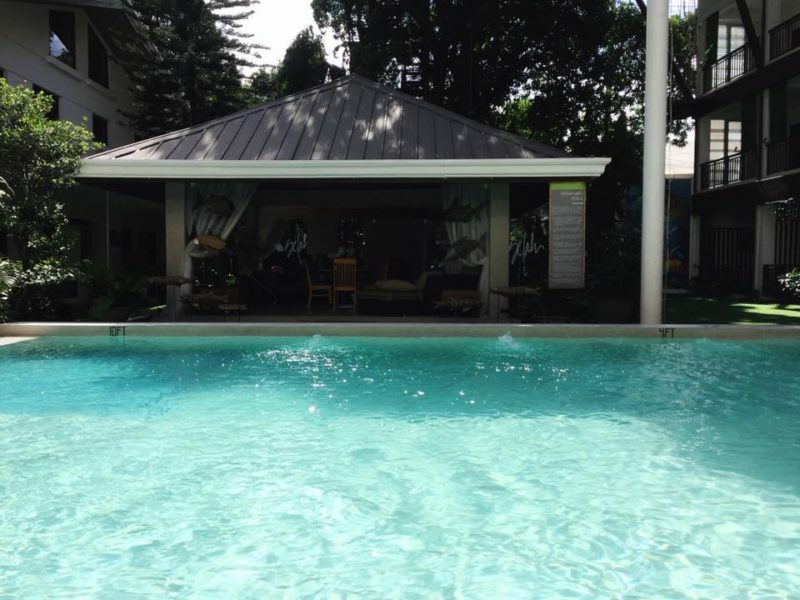 Is this beauty really located in pasay city???? Really impressed! I’ve always thought that beauties like these were scattered around laguna/batangas/tagaytay and other provinces but wow, hearing that pasay city also has one makes it much more fun to tour around at. I especially like how you included point to improve on! I believe that one of the many reasons why bloggers are invited to try a place/food/event at is to provide these. Great job on the feature! This is the kind of hotel where I would not mind what is happening outside! With all those amenities (the pool is my favourite one), it seems like the perfect place to enjoy it with a group of friends like you did. This hotel does look like a great hidden gem. 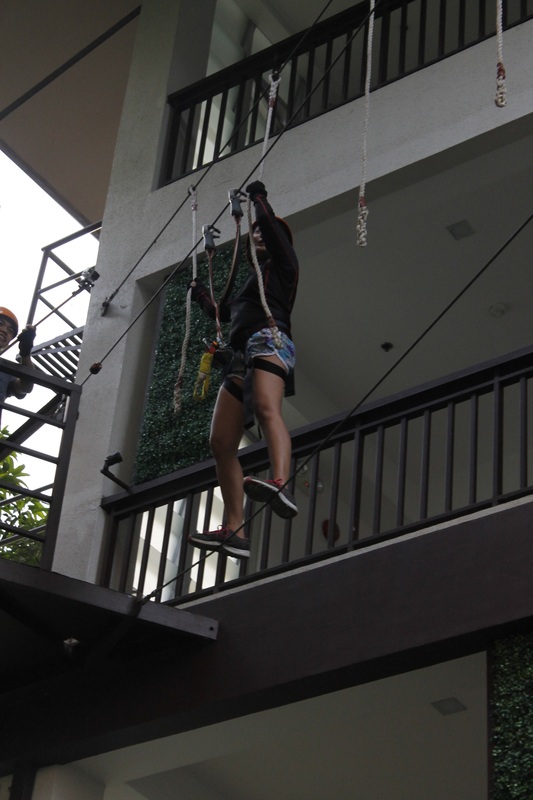 I love that they have cool adventurous activities right in the hotel. Thats so fun and original. Hahaha! Oo nga no? ? Looks like a decent place to stay over. I liked the thoughtful activities included. I hope they consider your constructive suggestions and make the necessary changes . 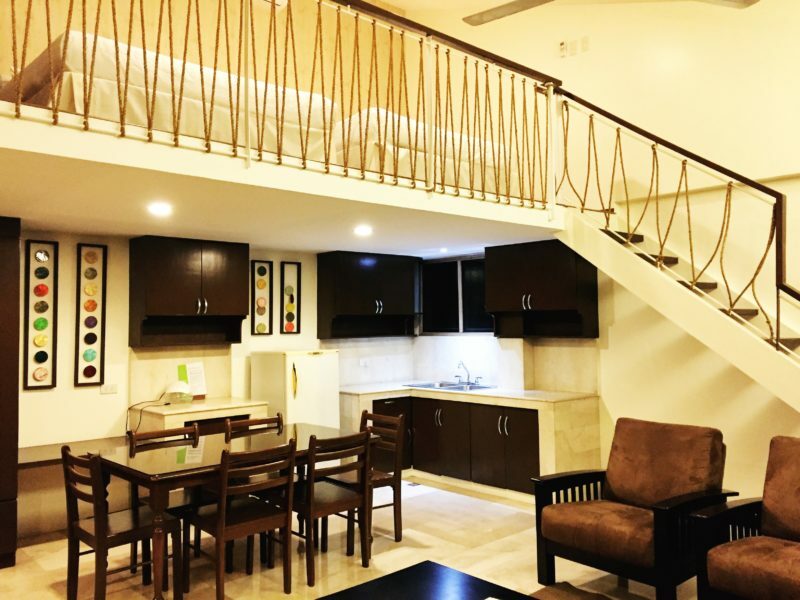 More than a hotel it is giving the feeling of a home away from home. I like the neat, clean and homely vibes. I will love to stay here when I happen to visit this part of the world. Looks like a very clean and zen place with it’s simplicity… I’d love to try the rope course, looks adventurous and like quite the experience! 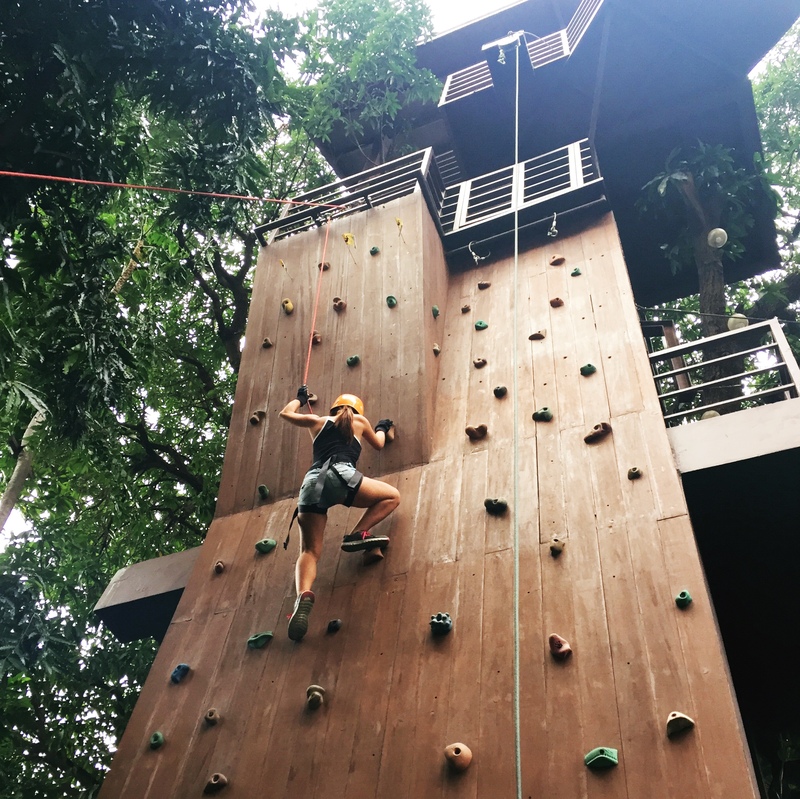 Oh, and can’t forget the mountain climbing wall, super cool and I’d love to climb all the way to the top… glad you got to experience this oasis in the heart of Pasay.